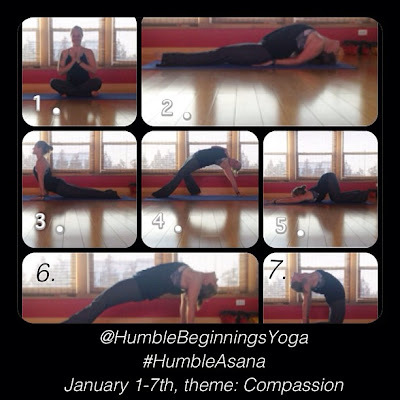 I am participating in the Humble Beginnings Yoga yoga challenge for the month of January. 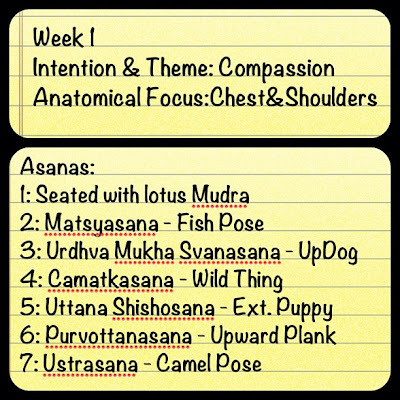 What I like about this challenge is that it incorporates the asanas or poses with intentions. There are three variations of the leg positions for todays pose and I think that I am more comfortable in hero's pose instead of easy pose. As you can see my hips are quite tight and my legs stick up pretty far. I have made some progress but today I was stiff. So in this pose I have to practice compassion with myself and not be too judgmental and compare myself to others. As far as compassion goes. 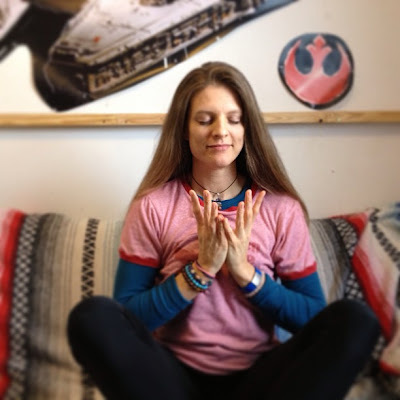 Its easy peasy to be compassionate and giving when I am content and not stressed out. If I have some personal needs unmet for whatever reason or even worse when someone else is upset with me, my go to response is anger. Compassion is the virtue of empathy for the suffering of others. It is regarded as a fundamental part of human love, and a cornerstone of greater social interconnection and humanism —foundational to the highest principles in philosophy, society, and personhood. The time for me to practice compassion when it is the most meaningful and will bring the most change is when I can breathe through my anger and let it go. Today the super hero was frustrated with me about something and I sat and took deep breathes and remembered to think of his needs. I put my shoulders back and opened my heart and listened to him. What he needed was to say what he had to say and have me really hear him. I did. When I looked at it from that perspective I no longer felt defensive and I felt empowered to take care of him. It was lovely. For both of us. This is also something I will be focusing on with the spawn. I sometimes forget that they are not adults and have a shallow frame of reference due to their lack of experience and to top it off they are controlled by the whim of the adults around them. So I will be patient with them and give them more respect as humans and not be so quick to lay down the law or yell. 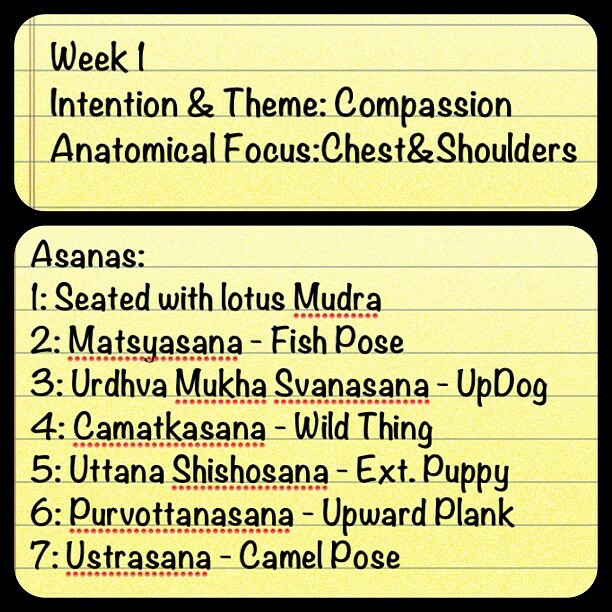 Here is the photos and descriptions for the weeks poses. I can be found on instagram by searching the user name AngieBeeHotz or you can follow along on a PC by going to my statigram page. I will also be posting photos to the Barefoot Angie Bee facebook page as well!